Time for some more mani fun! After drooling over some gorgeous Tiffany’s jewelry, I was inspired to create a mint/teal nail design. 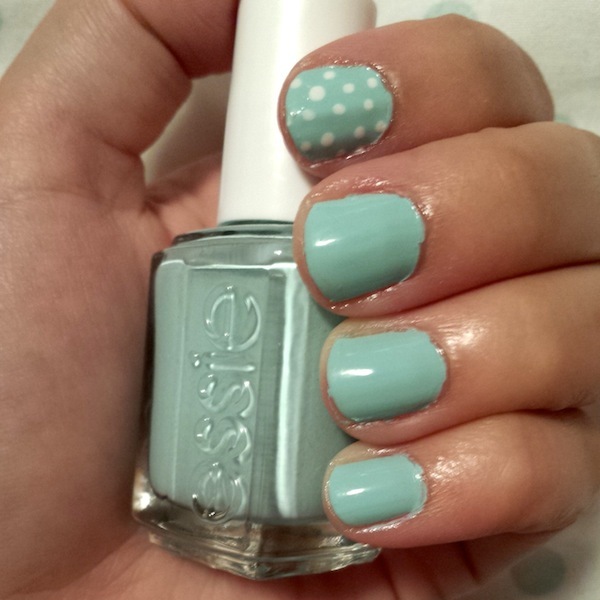 While I don’t have China Glaze For Audrey (although I have been eyeing it for awhile…), I do have essie Mint Candy Apple, and so that’s what I went with and I absolutely adore it! Inspired by my mani or post? Send me a picture! What do you think about essie nail polishes? Would you wear this color? Do you think mint still maintains a firm position in fashion? Let me know in the comments below!